It's time to clean your apartment! 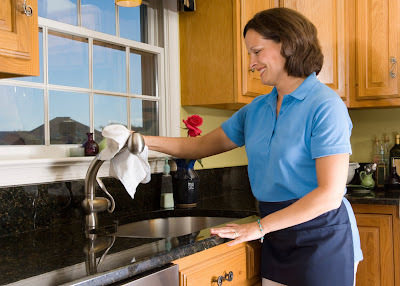 And for a limited time only, you can save 50% on your first housekeeping service with Clarity Domestics. The company offers environmentally friendly, luxury housekeeping services to New York City residents. With this discount, cleanings start at just $35! Give Clarity Domestics a call today at 212-969-9100 and mention NYCDAILYDEALS to receive your discount. Dishonest and now avoiding me...my favorite combination! I purchased a certificate for a cleaning off of Gilt City back in July. They came promptly and were very polite, both on the phone and in person. Though the cleaning job was pretty unimpressive, I tipped well and thanked them. Once they left, I noticed an enormous scratch in our hardwood floor. I immediately contacted Clarity, and Greg was solicitous, friendly, and helpful. He helped set up an appointment with an appraiser and promised to get back to me about fixing the scratch asap. So I waited. And waited. And waited. And contacted them, called, emailed. My contact went from polite to threatening. Still no response. I hope they're out of business, because I can't imagine them being so crooked as to not even respond to a single email of mine, but it seems as if they're purposely ignoring me so they won't have to pay for the repairs. Don't go cut-rate when cleaning your home. Clarity has proven to be careless, dishonest, and now incredibly unprofessional.